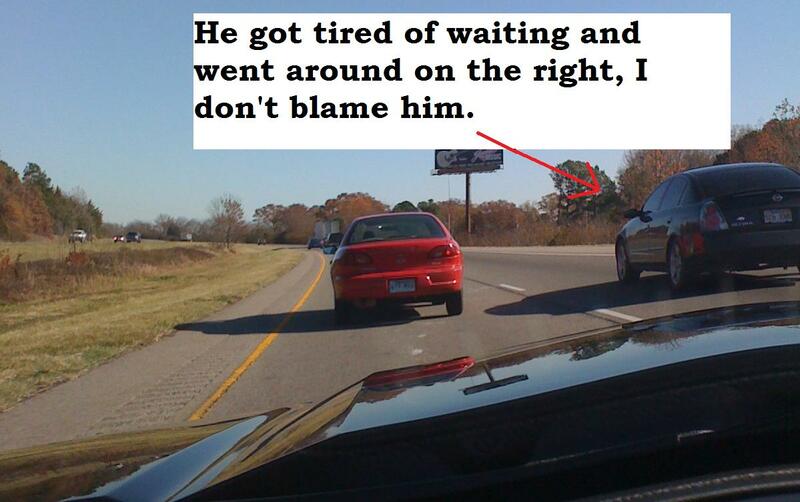 I'm sick of idiots who drag along in the left lane holding up traffic. This website is dedicated to these idiots. I will take pictures of these assholes and post them on here. 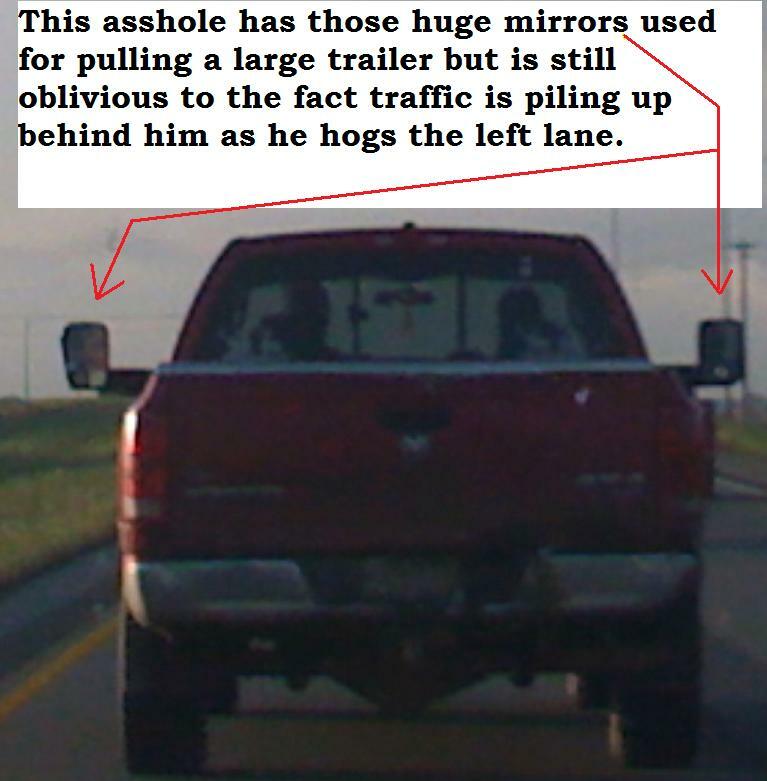 These are pictures of people who get in the left lane (the passing lane, fast lane, or the hammer lane) and just drive along, not passing anybody and not yielding to faster moving traffic that comes up behind them, which in my state (and probably most states) is against the law. 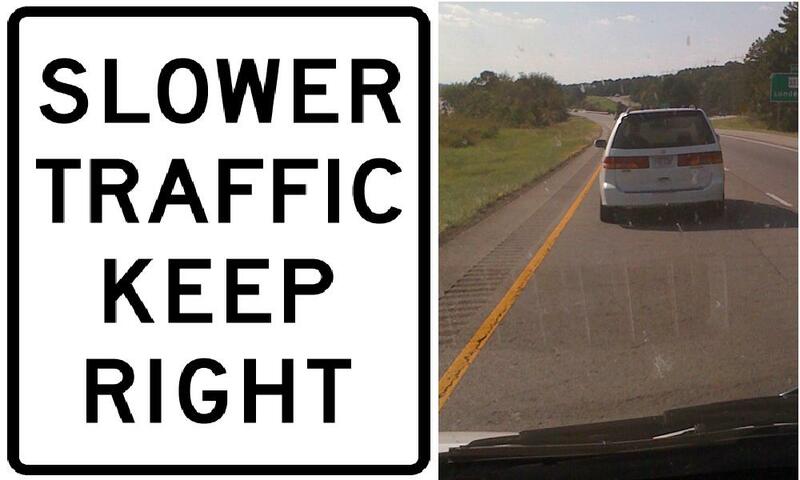 If someone is passing you to your right, then you've been in the left lane too long and need to move the hell over! A little off topic of left lane idiots, but something that also needs to be addressed: People who drive 20 miles per hour under the speed limit. For the love of God, take a bike! Imagine there is a slow green car passing an even slower blue car. A red car is behind the green car and wants to go faster. The red car can go faster when one of two things happens: either the green car moves into the right lane or the red car moves into the right lane. As it turns out the green car can move into the right lane sooner than the red car can. In the animation below there are two cases. In the first case the green car stays in the left lane and the red car has to move to the right lane. In the second case the green car moves to the right lane as soon as it is safe to do so, allowing the red car to resume his normal speed sooner. 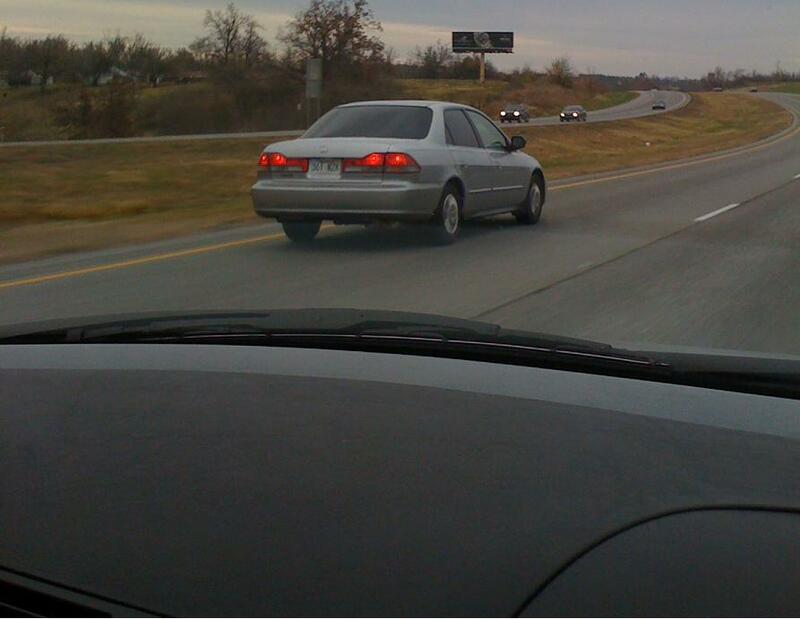 This results in the red car getting to his destination sooner, spending less time on the highway.